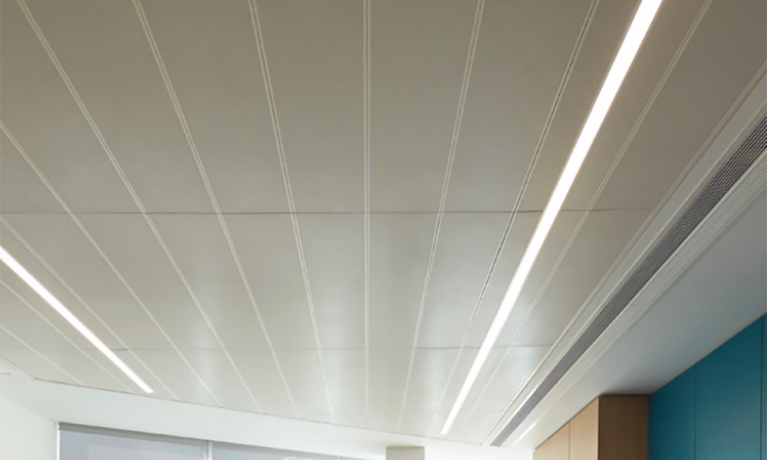 SAS200 is a concealed grid suspended ceiling system offering significant creative flexibility, ideal for bespoke applications. Modules can be manufactured in a variety of ways depending on application. The shape and size of the tiles are only limited by the inherent material properties. 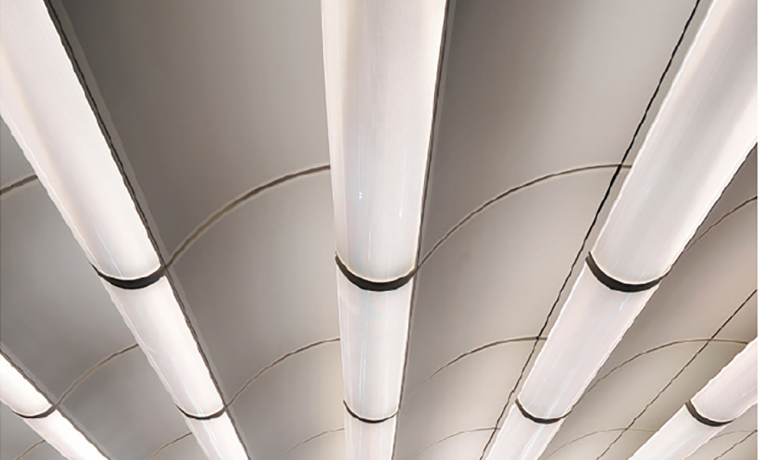 Each module includes a 3mm hidden gasket to aid installation, forming a shadow gap improving uniformity and overall aesthetic appeal. Due to its inherent versatility, the J-Bar hook on system can be used in a wide variety of applications. 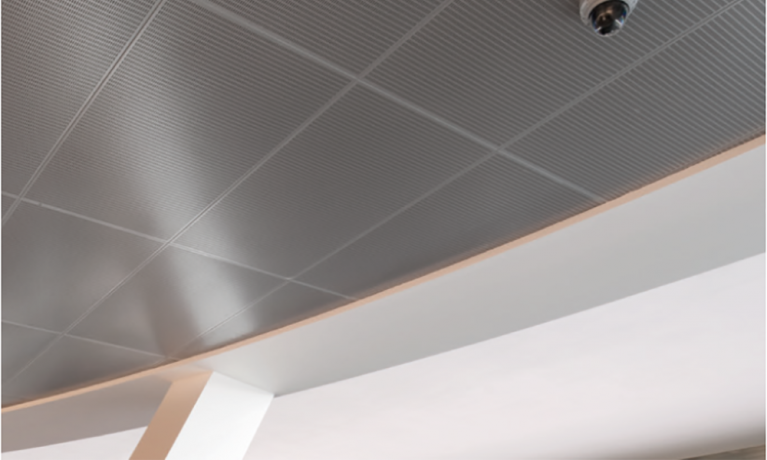 SAS200 is a suspended metal ceiling system with hook-on modular tiles and concealed grid. Square and rectangle – Side flanges are turned up and returned in. Short flanges are formed up, turned out and down then hooked in. In combination with the J-Bar suspension method, tiles can be of any shape. Polyester powder coating and bespoke finishes are available on request. SAS200 tiles can be supplied with any standard SAS perforation pattern. 1522 is a popular pattern available. Acoustic pad as standard, 16mm deep, 80Kg density mineral wool pad with black tissue face, foil back and sides.